Guiding Harbor is pleased to announce the selection of Jennifer Trotter, LMSW, as the new CEO. Mrs. Trotter follows Guiding Harbor’s previous CEO, Maria Lessnau, who left the organization after many years of dedicated service for a new professional challenge as Executive Director at Christ Child House in Detroit. Jennifer Trotter joins Guiding Harbor after more than 20 years as a social worker in child welfare. She has direct care experience in foster care and family preservation. As a regional director at Judson Center, she was responsible for the oversight of program administration, staff development, fiscal management, proposal writing, program evaluation, planning and development for a variety of child welfare programs including statewide contracts, such as MARE (Michigan Adoption Resource Exchange) and Foster Care Navigators. Most recently Mrs. Trotter worked as a project manager at Samaritas where she drove strategic priorities toward the achievement of the organization’s strategic plan. Guiding Harbor, founded by the General Federation of Women’s Clubs, Michigan in 1958, provides child caring and child placement services for abused and neglected children. Services include: Foster Care, Supervised Independent Living and a Residential Program. The mission of Guiding Harbor is Improving the Quality of Life for Children and Families. 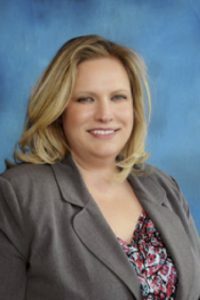 Jennifer Trotter started her role of CEO on April 13th, 2018.